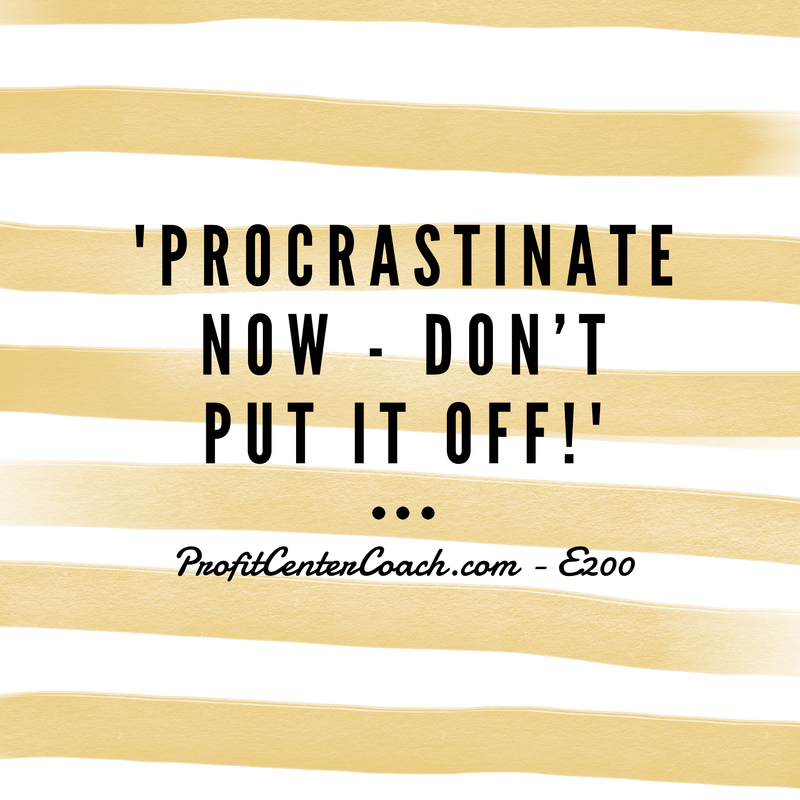 “Procrastinate Now – Don’t put it off” – sounds silly, but there’s a little truth in it when it comes to creating your Subject Matter Expert status online. You are a Subject Matter Expert and at the same time you have to constantly enhance your resume to be a Subject Matter Expert. Think about that, the expert needs to keep fresh on knowledge… sounds a lot like starting your goal of procrastinating now! If you want a bigger presence online, it’s time to claim your corner of the internet. It’s the best way to control your destiny. This type of social credibility is a powerful tool. It helps to give people seeking you out an idea that you are real. Now, you automatically create it when you put a website online for your business. But, what I’m referring to in this post is YOU. You need to build the credibility of yourself, as an individual, here’s why. No matter what you do in a business or in a job, one day you will be done with that chapter of your life. You need to move on to other things. I keep saying… YOU. If you plan to do consulting in the field you are currently working in, wouldn’t it make sense to start building your credibility now? Sure it would. It will help you now and it will help your 5 years from now self. A couple ways to help accomplish this goal is to start by participating in your industry leadership. This will start by attending conferences and networking, but eventually you may choose to submit proposals for presentations or even serving on boards. It’s a great way to get your name known within the industry. This may even bring opportunities to contribute written articles for publications. All of these help to boost your credibility. The faster way is to use social media to share your thoughts on your topic/industry. Post happenings or current events in your industry. Form opinions about upcoming issues and share your vision for the future. People within the industry and outside the industry will follow. This following builds your credibility. Finally, let’s blog or podcast. This is one of my favorite topics. Create an area of information on the web that is all about your knowledge. Do this by writing or speaking! You can easily share information and it becomes searchable. When people are looking for a thought leader they’ll find you. Again, being a thought leader in your industry is a great way to get the exposure needed to elevate you above the rest of the crowd and build the credibility online that helps in your real world business. 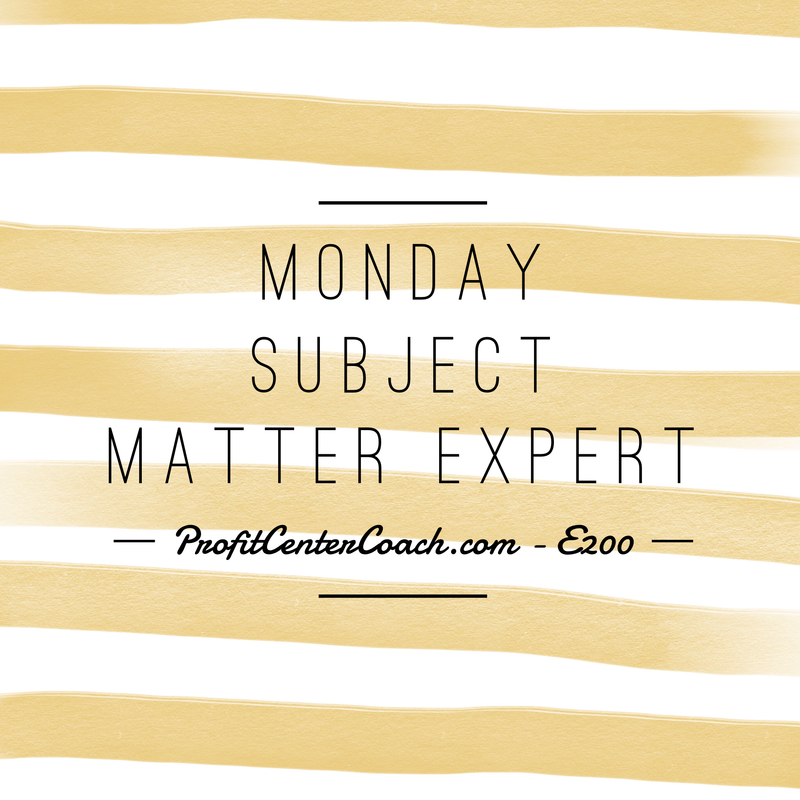 Start to build this part of your Subject Matter Expert status, today. 1- Find a way that you can utilize your industry association(s) to elevate your profile. Is there a networking or volunteering opportunity available? If there is… do it! Look, seek, and ask… find a way to build you credibility to elevate your subject matter status online. Episode #201 – Force Yourself to Have Fun With Your Blog!